For DC’s panel at Comic Con / SDCC 2017, we finally get to see the Dark Knights aka the evil Batman-Justice League hybrid we featured a few weeks ago. These guys are based off Batman’s Justice League protocols that were given life in the DC’s Dark Universe then sent back to our reality to cause some serious havoc on the denizens of the DC Rebirth-era DCU. The Murder Machine. The Red Death. The Merciless. The Devastator. The Drowned. The DawnBreaker. I’m very afraid of the Batman-Doomsday hybrid who they call The Merciless. Really scared. Even if you do find a Batman-Superman hybrid, it still won’t do squat especially since Doomsday is involved. 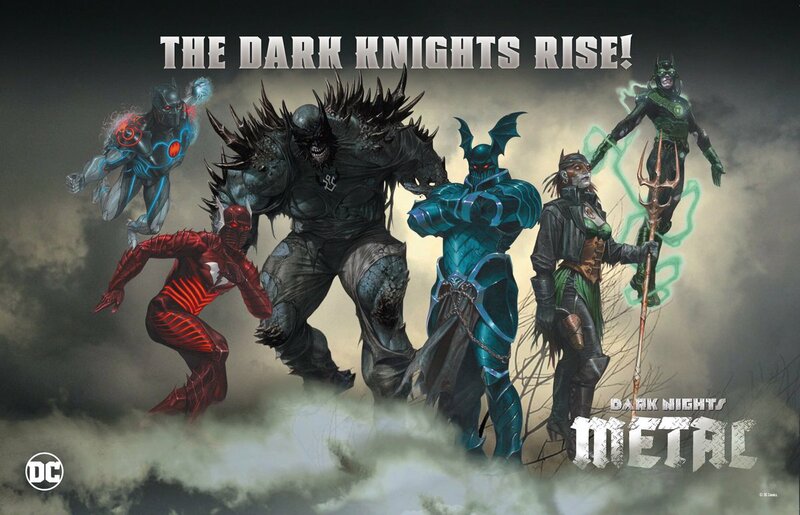 Dark Nights: Metal will be written by Scott Snyder with art by Greg Capullo and will begin soon from DC Comics.